If my writing has so far not given it away, or anything to that degree, I may as well spoil the surprise now; yes, I am indeed a German, a German whose primary language is English. Whilst the concept itself makes my brain hurt from how silly and nonsensical it sounds, it's safe to say that I feel I have a certain degree of authority when it comes to talking of German culture, not because I am German, but because I've always been an outsider to culture in general, only picking what I like about each culture and applying it to myself. This gives you a weird perspective when it comes to pretty much any culture because you're like a person looking into a window, you're not really a part of any of it. This also makes for some funny situations, you tend to notice the discrepancies of cultures heavily as a result which throws you for a loop to remind you that yes, we are all, in fact, human, and no matter how similar we truly are, there are still these small insidious differences, even after you integrated, that you tend to notice. For reference to the examples I'm about to give you, I would pin point my culture as predominantly North American in sentiment, though it's easy to notice the blatant elements of other cultures in me when approached on by a multitude of subjects. Anywho, I digress, German culture is an odd one when it comes to the European cultures at large, this being part of a variety of reasons. When you talk to Germans you can honestly expect a fair amount of stereotypes to be true which is honestly something I hate admitting having a German heritage and all. The biggest thing ex-pats will notice about Germans is that sarcasm, although something that can be easily heard out in the language itself, is a dead art-form in the German language and German culture at large, same goes with general humor, whilst that's unfair to say, but the expectations of German humor tend to be the exactly different thing as what universally speaking means humor to other cultures. You more often than not have one of the two extremes, basically a goofball who uses cheap humor in a clever way (Mario Barth is a great example of this) or you have very dry, well thought out humor where you need to be in the loop of so many facets of society ( Kurt Kroemer) that the jokes will be hit and miss unless you're well informed on everything! Another great example I've heard makes me chuckle to this day, I recall this day pretty well because how hard it hit me when I came back to live in Germany close to two years ago now (anniversary of November, and I'll be living at “home” again for two years) I was talking to a friend's grandparent, and I pretty much-expected racism to pop-up because hey, it was a different time, who am I to judge? But it was more so a statement that I remember instead that looking at it now it makes me choke up in laughter at times, the statement was: “The Germans are three things; grocery stores, home improvement and gardening depots, and cars” looking back at that statement after what is now I believe to be six years, I can honestly say there's a painful pang of truth to those words. This example doesn't apply in Berlin as much I've found, due to my more Northern German heritage, but the great thing about German culture is we probably have a word to explain something the English language doesn't (schadenfreude, you glorious word you) the best example I can think of is “Backpfeifengesicht” which can basically be explained as “A face badly in need of a fist” which to me is just hilarious. One of the more profound differences where I really have to catch myself in the act of it is when I'm visiting other nations. See, to a German, cleanliness is quite literally the be all end all of everything, maybe not in the early years of one's life, but you notice it when you visit other people's houses, you're not really judging them, it's just one really big shock to you, you think to yourself “Is this really how they live?” and to some it's a sort of freeing rush, to others they slink back into even worse cleanliness obsessions. 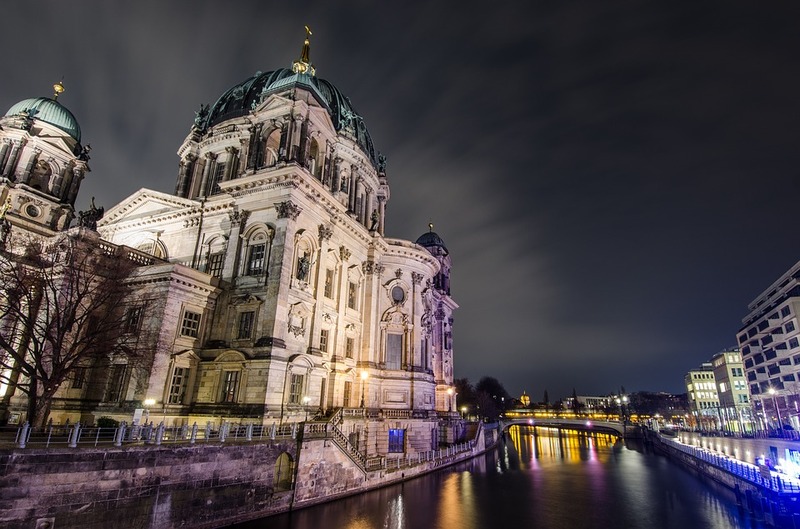 All in all, what should you expect about German culture? Expect us to not get your humor, unless you're dealing with someone who has made an active effort to be in an English speaking community of some sort. Don't use sarcasm, please, it's a concept that is ingrained in a culture, and it is definitely not ingrained in this culture (it even got me punched in the face once) obviously expect beer, that's a given. Efficiency is a big one, we're huge on that, have a road that gets you to a place in fifteen minutes when you should be there in seven? Call a German, we'll find a way to go about getting you six minutes and forty seconds. But all in all, don't be beaten down by our somewhat serious attitude and kind-of rough nature, it takes a while for us to warm up to you, but don't fret, it's in our nature.